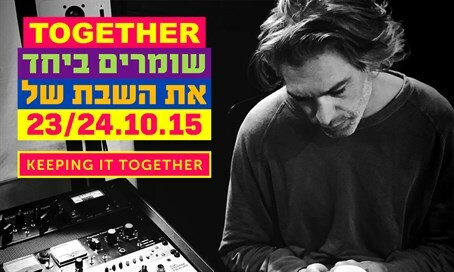 Matisyahu joins with The Shabbos Project in its second attempt to get all Jews in the world to observe the Sabbath. The Shabbos Project is back, and after getting over one million Jews to observe the Sabbath last October, it aims to get even more Jews to unite - and it has recruited world famous singer Matisyahu for the effort. South Africa's Chief Rabbi Warren Goldstein started the project locally in South Africa, and last October it spread to over 400 cities worldwide. This year the project aims to reach Jews in over 500 cities around the world. Next week on Shabbat, starting in the evening of October 23 and lasting through to the following evening, Jews worldwide are asked to take part in the project by keeping the Sabbath. A video promoting the project shows Jews from around the world reciting the Kiddush blessing said on Friday night before the meal. The Shabbat observance will include hundreds of events in Israel, including festive Shabbat meals with mayors. "There is no enemy who can defeat us because we stand together with honor and connected in the merit of our Jewish experience, the Shabbat, our tradition and our Jewish identity," said Rabbi Goldstein. Matisyahu has released a special rendition of the Kiddush for the project. "The idea standing behind the Shabbat has a special ability to bring people together, who in different situations might not come together," said the singer. "The ability to ponder G-d while we are completely disconnected from all distractions is unity in its most basic form," added Matisyahu. "It's an honor for me to have been asked to take part in the project and contribute my part in the attempt to increase the unity between our brothers and sisters."